Tungsten wedding bands have gained popularity in recent years. Due to the uniqueness of its design and the appeal of it’s non-fading gloss, a lot of couples are considering using tungsten rings as their wedding bands. But are the things you know or have heard about tungsten wedding bands true? Read on to find out. This myth is 50% true. 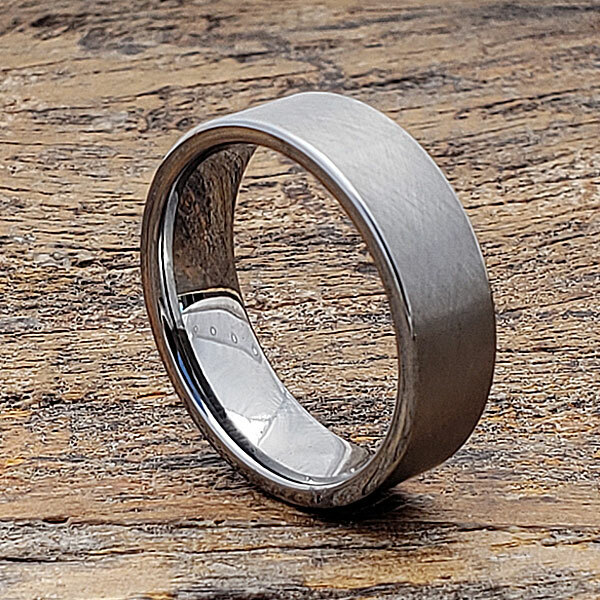 tungsten wedding bands are not made entirely out of the rare metal tungsten – it is actually made from the mixture of tungsten and of carbon called tungsten carbide. The reason behind this is to make the metal easier to shape. In its pure metal state, tungsten is very hard to shape into rings because of its hardness, so an alloy is used instead. The harder a material is, the more brittle it is. It’s a fact. And tungsten is no exception. But remember that in tungsten wedding bands, the ring is made from an alloy of tungsten and carbon. Though it takes away from the strength of the metal in its pure form, it adds a little malleability to it, thereby reducing its brittleness. So, no, this myth is nothing but a myth. Tungsten rings won’t crack with everyday bumps. Still, with sufficient impact force, a tungsten carbide ring will break instead of mend out of shape. Yes, the ring is very hard. But to go so far as to say that it cannot be removed during an emergency is a farfetched fairy tale. Go to any emergency room and they will be well-equipped to handle the removal of tungsten wedding bands. Numerous videos on YouTube even shows that with simple household tools, you can break a tungsten carbide ring during emergencies. This myth, unfortunately, is a fact. It’s most distinguishing feature, its hardness, is also its weakness when it comes to this concern. The ring is simply too hard to be cut without breaking it. Remember that the harder the material, the more brittle it tends to be. And a material as hard as tungsten does not take well to being cut as tungsten carbide behaves like a ceramic – hard but brittle. This is a very common myth about tungsten wedding bands – it only comes in grey. This is completely false as depending on the finishing process, the color of the ring can be changed by applying satin or brushed finish. Also, plating can be used to color your tungsten ring. Forever Metals even have rose-colored tungsten wedding bands!